This article provides some facts and a guide for parents, living in England and Wales, who are considering home schooling their child. Home schooling can offer an exciting and successful approach to a child's learning and is beginning to earn a reputation in the UK as ‘education that works’. In 2018, it was estimated that between 50,000 to 80,000 children were home schooled in the UK and the figure is rising by 80% per year. In the UK, home schooling is gaining momentum and popularity amongst families, as home-schooled students demonstrate its success, both academically and socially. More parents in the UK are now taking on the responsibility of educating their own children; and are choosing home schooling as an alternative to sending their child to school. Why choose to Home School? Parents choose to home school their children for all kind of reasons. Some choose home schooling for their children because they are dissatisfied by their local schools or cannot get a place for their child at the school of their choice; others are seeking extra academic challenge for very academically, athletically or artistically gifted children; others have children with learning or physical needs that a busy teacher cannot cater for; others have children who find the school environment too stressful for them to progress and to reach their potential; others choose home schooling for their philosophical or religious beliefs. Ultimately, parents choose home schooling for their child if it is in the best interests of their child. Parents do not need to give any reason for choosing to home school their child and the law does not make any distinction between reasons for deciding to home school. The thought of home schooling may at first seem daunting, but most parents' apprehension is due to the fact that so little is understood about how home schooling in the UK works. 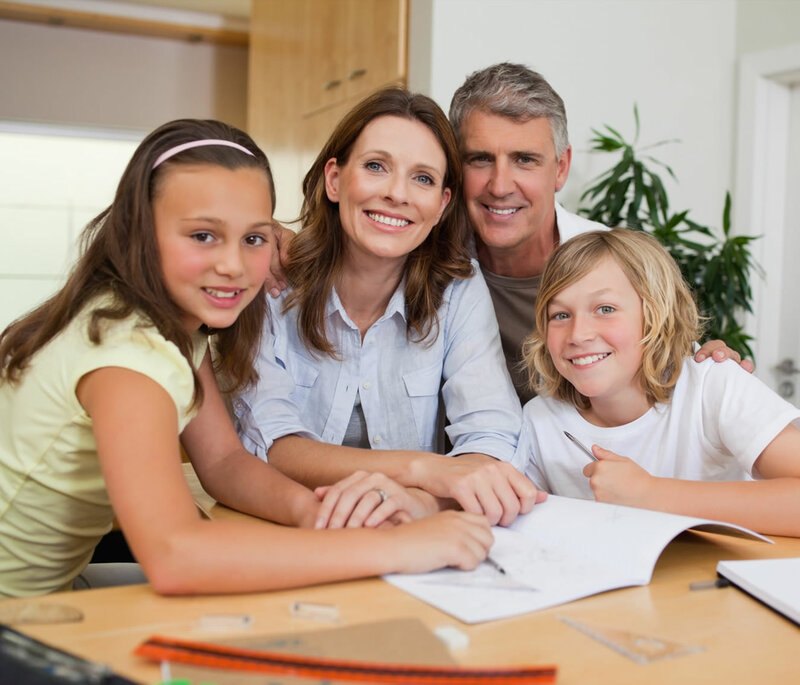 There are many assumptions and misconceptions surrounding home schooling. The reality is that there is no set curriculum, nor prescribed hours, nor inspection to oversee families who choose to home school their children. A parent is required to write to their headteacher, if they plan to take their child out of school. The school must agree and accept this position if the parents are removing their child completely from the school. If the parents are looking for a part-time arrangement, with the child in school for part of the week and the home schooling for the remainder, then their school has the right to refuse this arrangement. Parents must formally de-register their child from school if they have been offered a place in the school, even if the child has not attended. Parents must make sure that their child receives a full-time education from the age of 5 but do not have to follow the National Curriculum, which is a requirement for state schools only. In law, there is no duty for a Local Authority to monitor a home school’s child provision, but in practice, some do. You are not required to allow any home visits, other than in rare and extreme circumstances.It is advised that parents look to provide tuition in at least the core subjects of English, Maths and Science. Generally, there is no financial support for home schooling, though some Local Authorities may be able to arrange access to borrowing resources from local libraries or provide access to sports centres and other council facilities. Local Authorities may also hold lists of other home-schooling families in the area, who often combine together to organise social or sporting activities. Primary SATs testing is only a requirement at state Primary Schools and is therefore is neither required nor relevant for home schooled Primary Children. Parents can arrange for their children to take exams as external candidates at local school or exam centres. Most academic subjects can now offer an Exam Board option suitable for children who home school, avoiding the need for Coursework, Practical or Controlled Assessments. Children will need to be registered for GCSE, IGCSE or A levels by January 2019 for Public Examinations sat in May and June 2019. The approximate fee for each exam entry is £50 to £60. There is a wealth of on-line teaching resources available to support home schooling, but very little provision for direct high-quality teaching. Many families end up teaching their own children or supplementing the teaching through the use of tutors. (1) It gives you the opportunity to create a tailor-made education; one that suits the learning needs of your child. (2) One-to-one teaching is very effective; so your home-schooled child will make much more progress with much less teaching time; often a school days’ worth of learning within two hours of teaching. This allows much more light and space in the week for you to do other things. (3) The school day and week is flexible and can provide a much better school/work/balance for your home -schooled child and your families. There are no school runs nor limitations on school holidays. Lessons can start and finish at times more palatable for teenagers or busy households. (4) Home schoolingensures that your child receivesthe individual attention of a teacher ensuring that they reach their full potential. A teacher can adapt their teaching to your child to bring the greatest benefit. (5) There are fewer distractions in a home setting. with no noise or distraction from classmates, which can sometimes negatively impact on your child’s concentration and performance. (6) If your child is shy, they often will not ask questions in aclassroom environment. In a home school setting your child will feel more able to ask questions and will gradually develop in confidence. (7) You can always decide to return your child into the school system at some later stage and have the best of both worlds. (8) The social aspect of home schooling is relatively easy to put into place. You can join local groups (often linking through facebook) where you meet other families with the same ambitions. If you are interested in home schooling a good first step is to talk to other parents who do it. As generations of home-schooled children grow up, some never having been to school, and move forward into further education, universities and employment, they are living proof of how successful it can be: a system that encourages the most gifted to flourish and a life-saver for some whose destiny in school may have been of academic failure, as their learning needs were not individually catered for. This is the greatest advantage of home schooling; it gives parents the opportunity to create a tailor-made education; one that suits the learning needs of their child. Because of its flexibility, parents who home school have a choice about what, when, where and how their children learn. Success in home schooling is found in the same way as success in school. The single most significant factor which determines the quality of education that a student receives is the quality of their teacher. It requires a teacher to have a broad and rigorous knowledge of subject content and curriculum; it requires a teacher to have enthusiasm, energy, patience and resilience; it requires a teacher to have developed skills in managing young people; it requires a teacher to have a desire to make a real difference to the lives of others. How Much Does It Cost To Home School Your Child? Some families choose to provide all of the tuition for their child. You do not need to be qualified teacher to do this. The cost is thus minimal, with only expenses for teaching resources and exam entries required. Some families choose to use a tutor to help them shape their curriculum and teaching programme, perhaps providing just one or two hours of tuition or planning each week. The tuition fees would typically be £40ph to £44ph for a qualified teacher. Some families choose to use a tutor to provide the majority or all of the tuition. Typically, for Early Years, Key Stage 1 and 2; between 8 to 16 hours each week, tuition fees from £38ph. Typically for Key Stage 3, GCSE, IGCSE and A level; generally 2-3 hours per academic subject each week, tuition fees from £40ph. Teachers To Your Home has considerable experience and success in providing home schooling for children of all ages, abilities and needs. Our teachers will support families by scheduling a complete programme of learning, teaching regular one-to-one lessons each week, monitoring progress, help in organising public examinations and supporting and advising parents. If you are considering home schooling your child and would welcome some further facts, professional advice or teaching support, please feel free to speak with us.